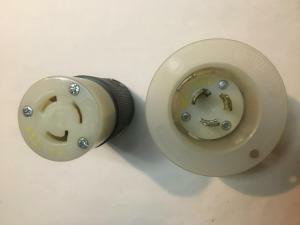 The female socket is brand new, the male receptacle has been removed from service. Ratings are 15A at 125vac. These are expensive when purchased from the supply stores. One of each...a set... for $16 shipped postpaid to 50 states.